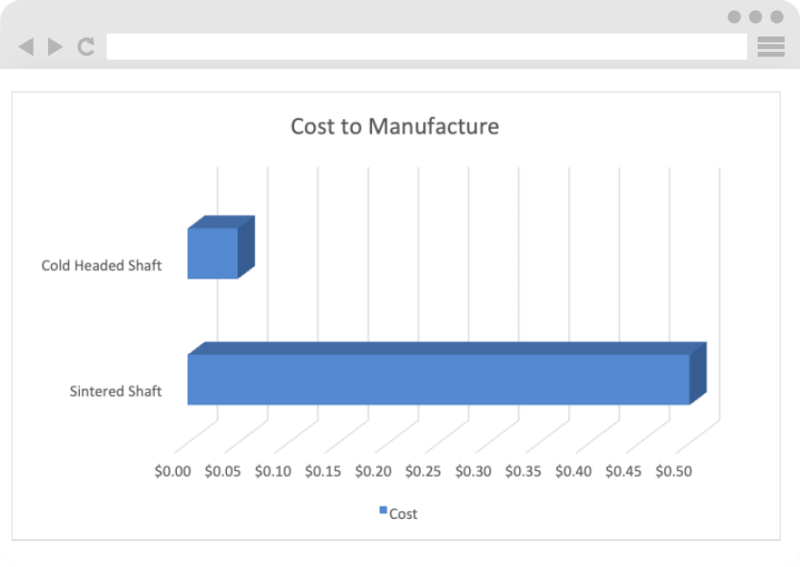 Reduce the manufacturing costs of the shaft and minimize the assembly costs utilizing more efficient techniques and design. Ultra conducted an in-depth analysis of the customer’s current manufacturing process for the shaft piece. It was being produced as a sintered metal piece and heat treating to attain the shaft’s form was time consuming and expensive. We made the recommendation to manufacture the shaft as a cold headed piece going forward. This process would produce the shaft more quickly and at a significantly lower cost. The strength of the shaft would be increased and eliminate fracturing issues during assembly. 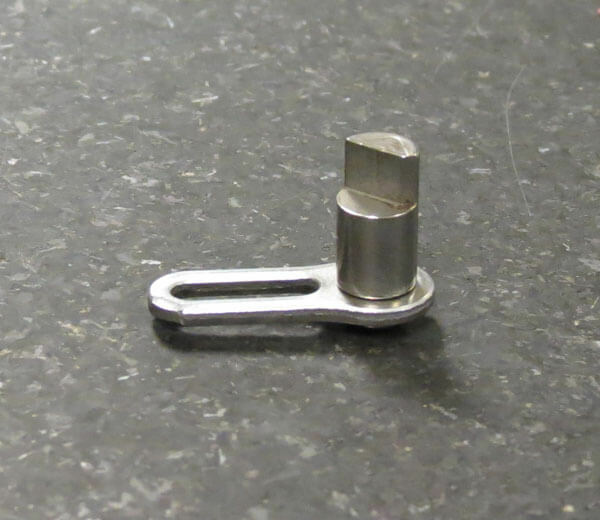 Ultra designed and built a cost-effective progressive die that performed two different functions. First, the die had to stamp the lever piece and second the shaft and lever needed to be assembled. The bowl feeders on the press were crucial in orienting and feeding the shafts into the progressive die. Click the video to watch the shafts being introduced into the stamping process. The need for secondary operations was eliminated with this streamlined assembly process introduced into the stamping press. Costs were reduced and lead times were improved for this part.